During 2011 Festiva Hospitality Group worked on refurbishments and new construction at the Blue Ridge Village Resort in Banner Elk, N.C. These updates improve the long-term quality of the resort for all Festiva members and resort guests, and are part of a large improvement project taking place at several properties throughout Festiva’s network of resorts. 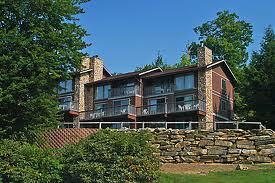 In 2008 Festiva began renovations at the Blue Ridge Village, taking it one building at a time. Improvements to the units included replacing all soft goods such as furniture, window treatments and bedding, replacing all cabinets, countertops and appliances in the kitchens, installing new televisions, replacing lighting and bathroom fixtures and updating the décor. These updates are completely funded by Festiva Hospitality Group at no cost to owners, members or guests. In 2010, free wireless internet was installed in all units and throughout the resort. Several other improvements to shared amenities and common areas began near the end of 2010. Improvements to common areas include renovations to the pool area and the addition of a new spa, a repainted basketball court with a new adjustable goal, resurfaced tennis courts with new covered benches and new carpeting and landscaping at the mini-golf course. Additions to the resort’s grounds include new landscaping with a water feature, fire pit and pavilion complete with a large gas grill for guests to enjoy. One of the most exciting additions to the property at Blue Ridge Village is Phase III of the resort. This will consist of luxurious stand-alone log cabins that will be located on previously undeveloped land on the property. Based in Asheville, North Carolina, Festiva Hospitality Group manages and operates a dynamic collection of hotels and resorts in some of the most sought-after destinations throughout the Midwest, Southeast, Northeast and Caribbean. Festiva Resorts currently has more than 60,000 members among 25 vacation ownership resorts.